YouTube/THE STORY OF STAR WARSPeople think that Prince William is the stormtrooper on the far left, next to prince Harry, next to Tom Hardy who is nearest Finn. 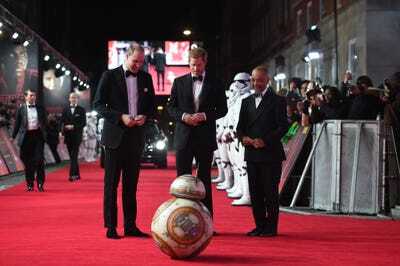 Princes William and Harry secretly filmed cameo scenes for “Star Wars: The Last Jedi” in 2016. The deleted scene has now emerged on YouTube, and it reportedly features as an outtake on the film’s DVD. 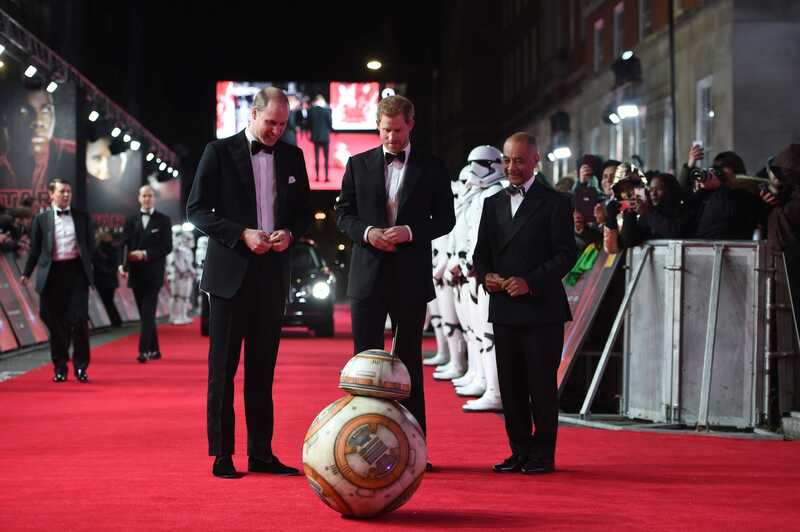 At the end of last year, it was revealed that Prince William and Prince Harry’s secretly filmed cameos in the latest Star Wars film, “The Last Jedi,” had been cut – and it was rumoured to be on account of the royals being too tall. William and Harry, who are 6 foot 3 and 6 foot 1 respectively, would make abnormally tall stormtroopers – according to the Mail Online, they’re typically required to be 5 foot 11. Luckily for dissappointed fans, a deleted scene from the film has emerged on YouTube and is believed to feature stormtrooper Prince William – on the far left in the scene – next to Prince Harry and actor Tom Hardy. The trio are shown in a lift with Finn (John Boyega), Rose (Kelly Marie Tran), and DJ (Benicio Del Toro). The clip will reportedly feature as an outtake on the film’s DVD, which is set to be released on April 9. Later in the scene the stormtrooper jokes: “I know I’m not supposed to initiate contact with officers, but I never took you for captain material. Look at you, captain!” He then slaps Finn’s bottom.